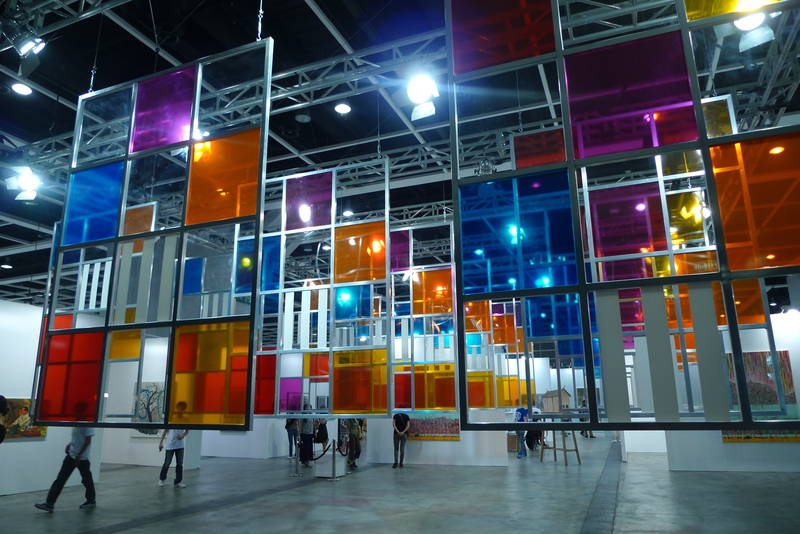 and the Asia Contemporary Art Show, also taking place in May. auction sales after New York and London. the market still feeds the hunger for big-ticket artists and auction houses have been slow to include local Hong Kong artists in their sales. galleries and artists’ studios. With the inclusion of more and more art fairs and galleries in the market that is set to change. eponymous galleries in 2010. Since then the city has seen a rapid proliferation of major international galleries with White Cube and Galerie Perrotin taking up residence in a conveniently situated building across from the International Finance Centre. Another recent addition is Yallay Space in Wong Chuk Hang, borne out of a partnership between London’s Fabio Rossi from Rossi and Rossi and Hong Kong based Chinese art specialist Jean Marc Decroup. “I have been dealing in Asian art for over 25 years and have known Hong Kong for almost as long”, states Rossi of the expansion. gallerist Ben Brown was the first to nestle down in the building in 2009, while Gagosian took the top floor in 2011 leading to an inevitable domino effect of galleries setting up shop in the iconic building. Chun-Fai, to mention just a few. 10 Chancery Lane Gallery, which was established in 2001 has focused on established and emerging international artists, with a particular focus on South East Asian artists such as Cambodian born Sopheap Pich, renowned Chinese artist Wang Keping, and Indian artist Sonia Mehra Chawla. Lane set up its annex 10 Chancery Lane Art Projects in one of the high rise industrial buildings allowing it to mount larger scale installations and shows and AO Vertical Art Space and Photo Book Centre showcases photography by local and Chinese artists in its ‘vertical flow’ gallery space. Tags: 10 Chancery Lane, 2P, Affordable Art Fair, Angela Su, AO Vertical Art Space, Art, Art Basel, Art Market, Artists, Auction, Ben Brown Gallery, China Guardian, Chow Chun-Fai, Christie's, Danny Lee, De Sarthe, Edouard Malingue, Gagosian, Galerie Perrotin, Galleries, Hanart TZ, Hong Kong, Hong Kong Galleries, Hotel Art Fair, Lehmann Maupin, Magdalen Wong, Morgan Wong, Pearl Lam, Platform China, Poly Auction, Rossi & Rossi, Simon Lee Gallery, Sonia Mehra Chawla, Sopheap Pich, Sotheby's, Sundaram Tagore Gallery, Wang Keping, White Cube, Wilson Shieh, Yallay Space. Bookmark the permalink. Does the person who wrote the above article, ‘The Hong Kong Art Market’, have a contact number or email? My email is: sphinx_ltd@yahoo.com …and my name is John Hudson Hawke.